From Constant you can easily enjoy a great daytrip to Bergerac. 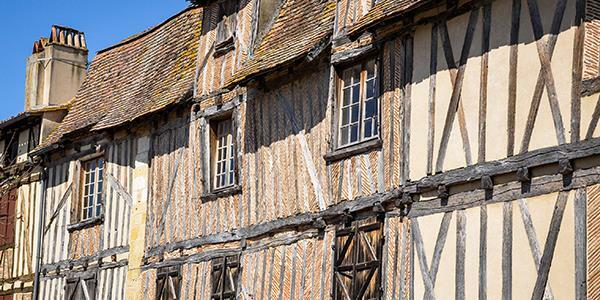 The French commune is around half an hour away and is bustling with culture and history. Well-known for its wine production, this area in the southwest of the Dordogne region is rich in vineyards, its proximity to the Dordogne river ensuring excellent drainage for fruit growing. Wine production has been ongoing in the area since Roman times when the vine was first introduced and cultivated. If you’re interested in viticulture then you can learn about the history and enjoy a tasting session of several Bergerac wines once you are back on site at Constant. As well as boasting some of the finest wines in the Bordeaux region, the town is also great for history buffs. The old town centre dates from the 11th century and has been restored to all of its former glory through careful renovations. It’s a really attractive centre to amble around and there are many medieval buildings and lots of stunning architecture. The Place de la Myrpe is a little square right in the heart of the old town and is bordered by beautiful timbre framed houses. 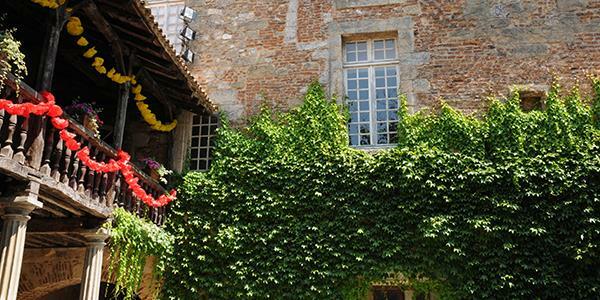 One of the houses is the quaint setting of the Wine and Water Transport Museum which recounts the history of Bergerac's river heritage and the trade that once took place. 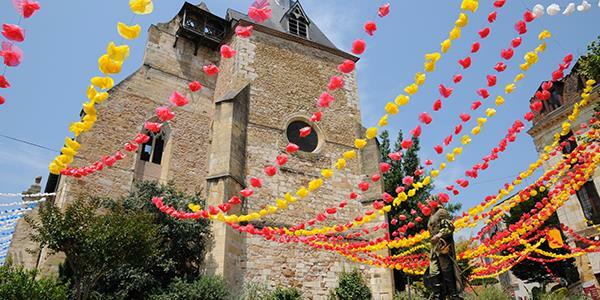 Nearby you’ll also find the church of St. Jacques’ which was one of the stops along the St. Jacques de Compostelle pilgrimage route. It is believed to have been built in the 12th century and houses a 19th century organ that has been classified as an historic monument! You’ll be able to find it on the Rue Saint James. It’s not the only church in the town. 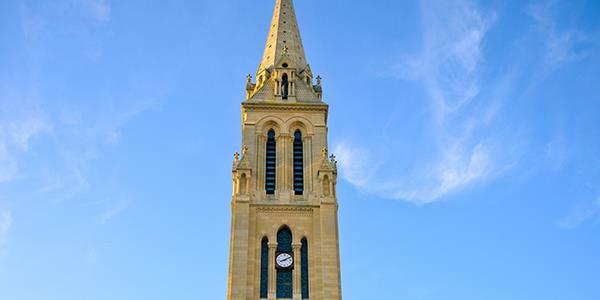 The Eglise Nôtre-Dame is a much larger monument and was built in the Neo-Gothic style in the 19th century. It has an impressive 80-metre steeple with a lovely nave and apse, and is worth a visit for the two 16th century paintings in the chapel. One is the Adoration of the Magi by Pordenone and the other is the Adoration of the Shepherds, attributed to Léonardo de Vinci's student Gaudenzio Ferrari. The town has good shops, restaurants and museums if you want to stay local. The beautiful Dordogne river winds its way through Bergerac and plays as important a role now with tourism as it once did for the region's economy. Walks along the picturesque quayside are a favourite, the old tow path still leading downstream to the dam. There is the opportunity for a spot of fishing as well as meals with a view. The Maison des Vins is just along the front (opposite the car park with the big boat in it) and here you’ll be able to learn more about the story of Bergerac wine. It’s located in the Récollets Cloisters which is a pretty collection of 17th century monastic buildings and the courtyard here often plays host to various concerts and exhibitions as well. While you’re ambling the quaint town, don’t forget to keep your eyes peeled for Cyrano de Bergerac. He was the eponymous subject of a famous play by Edmond Rostand. 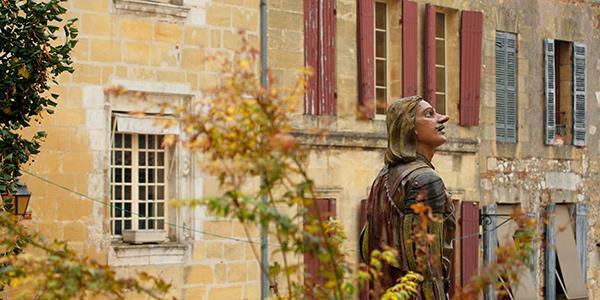 Though the real Cyrano never actually lived in the town he has become the face of Bergerac and there are two statues of him around. The older of the two you’ll find in the Place de la Myrpe.